This post has the list of the best job websites in Australia, best job websites Australia is a detailed post on the best job sites that will help you get jobs in Australia. 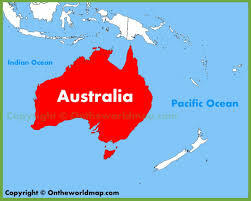 Australia is a country and a continent surrounded by the Indian and Pacific oceans. It is a country visited by many tourists because of her vast deserts and touristic sites. Beautiful and big cities like Sydney, Brisbane, Melbourne, and Canberra attracts lots of people some may get there for touristic attractions while some for new job opportunities. Because of its large mixed -market economy system and natural resources people go there to explore new job opportunities and the best way to search for jobs are via job websites. These websites will give you information about job vacancies, skills and more. 1. LinkedIn Australia This is the best site to go to if you’re looking for white collar job. 2. All Jobs Australia Provides job vacancies in all regions in Australia. 3. APS Jobs This is a government website which offers jobs from Australia’s public service sector. 4. 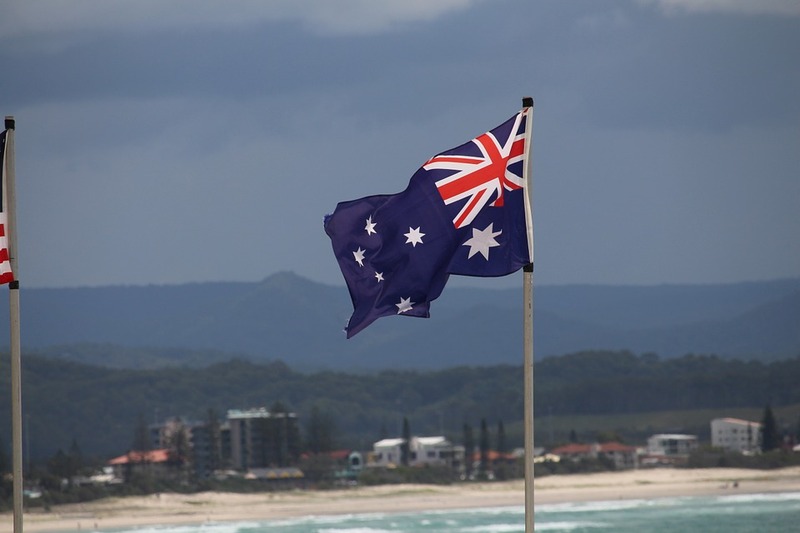 Australian Job search Here, you can search for jobs that best suits you. 5. ArtsHub Arts Hub provides jobs for job seekers in the Arts sector. 6. CareerJet Australia With millions of jobs available, Careerjet makes sure to job seekers get the best jobs. 7. CareerOne With just a click you are close to your dream job on Careerone. 8. Glassdoor Australia Been one of the biggest job board in the world, it also provides Australians with thousands of job opportunities. 9. Grad Connection Has lots of job openings for students and fresh graduates. 10. Gumtree Here, you will find thousands of job even job with small businesses. You can search for jobs in all categories. 11 Indeed It generates thousands of jobs for all job seekers. 12 Job Seeker Job seeker is a government job site that offers career opportunities to all job seekers. 13 Saloon Staff This site provides jobs for people in the hair and beauty industry. 14 Seek Australia This site allows you to search for jobs by location, classification, and salary. 15 THEunijob THEunijobs offers university and academic jobs like lecturer, tutor and more. It posts new jobs almost every day. This is the best site to go to if you’re looking for white collar job. Here, you can connect with employers and colleagues. Jobs will be given to you based on your job searches, and you can subscribe to some companies to be updated on what positions they have available. This is a nice job board where you can look for jobs in all areas in Australia. You can search for a job by state, description, company name, and region. This is a government website which offers jobs from Australia’s public service sector. If working for the federal government is your thing, this site is for you. It will link you to vacancies in the Australian Parliamentary Service (APS) and other Australian Government agencies. Here, you can sign up for job alerts and save job advertisement to apply later. This job portal allows you to search for short-term or contract work, part-time or full-time positions, local government jobs, traineeships, and apprenticeship. It gives job application tips to all job seekers. If you are looking for a job in the arts cultural or creative industries then ArtsHub is the best job portal for you to begin your search. This is an employment search engine that advertises millions of jobs. Job seekers search for jobs in a metropolitan area as well as regional areas and other countries. You can search for jobs here in all categories. This site provides thousands of jobs. Allows job seekers to check company profiles, gives career advice and job hunting tips. Provides employment updates, online courses, and train job seekers in writing and building their resumes. Glassdoor is one of the biggest job sites in the world. It offers thousands of jobs to all job seekers in Australia. It has a large database with millions of employee reviews, benefits reviews and salary reports for companies. This site is for students and fresh graduates. If you are looking for a job while studying or you just graduated from high school or university, this site is for you. You can search for part-time student jobs, internship, casual positions, graduate positions and more. Here, you will find thousands of job even job with small businesses. You can search for jobs in all categories. This is one of the most favorable job sites by many employers. It generates thousands of jobs for all job seekers. It allows job seekers to upload their resume so that employers can easily find their profile online. This is a government website where you can look for jobs in either government, health, community, disability, welfare, youth, and nonprofit sectors. Their job ads are generated from all websites in Australia. This site provides jobs for people in the hair and beauty industry. If you are a hairdresser or apprentice this job board is for you. They provide jobs by category and by location. This site allows you to search for jobs by location, classification, and salary. Seek provides online training, career advice, and company review. It let you choose from thousands of jobs across the country. THEunijobs offers university and academic jobs like lecturer, tutor and more. It posts new job opportunities almost every day. As at December of 2018, Australia’s unemployment rate stood at 5.4%. Australia is a country, a continent, and an island. It is located in Oceania between the Indian Ocean and the South Pacific ocean. Seek is the biggest and the best job site in Australia, it is used and known by quite a large number of Australians. News.com.au is one of the Top News sites in Australia that allows people in Australia to search for News on Jobs and other areas alike. With this best job websites Australia, you can now be certain of access to the right Jobs you need from different Industries. There’s no need for you to be stressed out just by looking for a job in Australia. Because I believe these Australian job sites above will help you secure a job in Australia Faster than you think. Make sure you go through these job sites carefully, before uploading your resume in other to understand their features, requirements and the kind of Jobs they place. Should in case you have issues reaching out to any of the job websites above, kindly let us know in the Comment section below. I got what you intend, appreciate it for posting.Woh I am glad to find this website through google. "I was walking down the street wearing glasses when the prescription ran out." by Steven Wright. Finding a job If you're unemployed, Centrelink may refer you to a Jobactive provider to discuss your existing skills, job prospects and training options. Jobactive helps job seekers to write a resume, look for work, prepare for interviews, get skills that local employers need, and find and keep a job. Job search websites typically offer additional features such as career advice, company information, and resume help. Job search websites are an incredibly useful for prospective employees to apply for jobs from the comfort of their own homes, or even on the go.